Any such move could doom Uefa’s Champions League and impact the respective clubs’ domestic leagues. BAYERN MUNICH AND chairman Karl-Heinz Rummenigge have denied attempting to lead some of Europe’s biggest clubs into a breakaway ‘Super League’, as reported by Der Spiegel. The German magazine’s allegation is based on documents it claims to have attained from whistleblowers ‘Football Leaks’. Der Spiegel reported that Bayern and Rummenigge were major players in attempting to formulate the new competition, naming Manchester United, Manchester City, Chelsea, Arsenal, Liverpool, Real Madrid, Barcelona and Juventus among the 11 clubs they were allegedly hoping to lead away. It is also claimed by Der Spiegel that Rummenigge used his position as chairman of the European Club Association (ECA) to secure reform with Uefa that granted greater financial benefits to the richest clubs. The club’s release added: “In its current issue no. 45 dated 3 November, 2018, Der Spiegel magazine claims that Karl-Heinz Rummenigge, as chairman of the European Club Association (ECA), had betrayed all medium-sized and smaller member clubs belonging to the ECA. Neither he nor FC Bayern Munich have ever acted to the detriment of the ECA. Email “Bayern Munich deny alleged attempt to lead breakaway European Super League”. 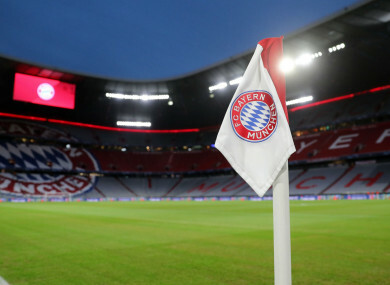 Feedback on “Bayern Munich deny alleged attempt to lead breakaway European Super League”.